Learning From Others-Buddhist Tanka Highlights Reiki Principle. 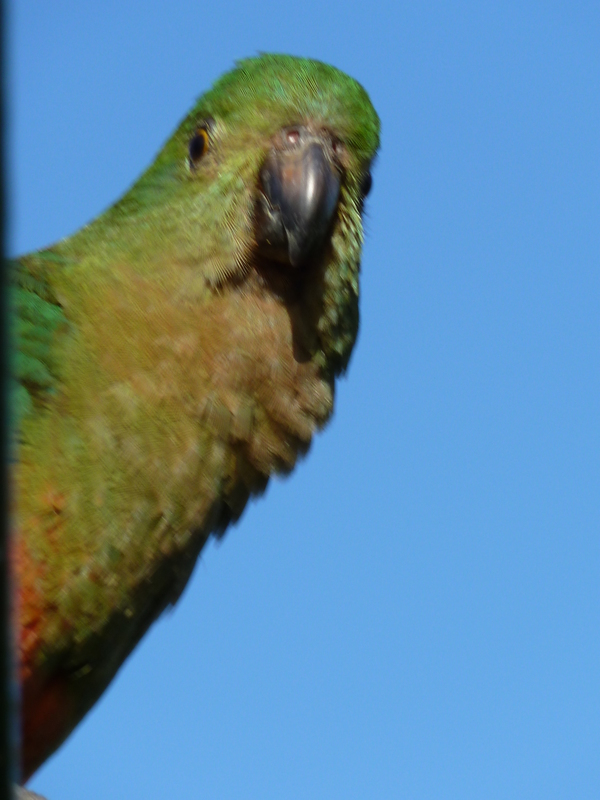 A WISE, UNWORRIED BABY KING PARROT ENJOYS THE CLEAR BLUE SKY IN MY BACKYARD! This is an example of the stylised waka (also called tanka) poetry which Dr. Usui taught to his Reiki students. Dr. Usui incorporated other aspects of his many years of Buddhist and martial arts training into his Reiki teaching, including meditation, self-cleansing, as well as some Shinto and ki-kou energy practises. Meditating on poems of great beauty helps our soul to grow and is something open to all no matter what their personal belief system. There are 125 of these waka in a book called “Spirit of Reiki”, by Walter Lubeck, Frank Arjava Petter and William Lee Rand. Working on these will benefit not only ourselves but will also make this world a far more compassionate and gentle place. Each day as we journey we can make an enormous difference to this world by simply becoming more self aware. What a wonderful, empowering thought! Blessings on your journey.